This paper explores a complex of characteristic compositional habits found in standard-repertory British art-music compositions of the early twentieth century that is shaped by stepwise bass motion in an intensively diatonic harmonic context. This complex, I contend, supports the conventional hearing of ‘Englishness’ in this repertory by literate listeners. Taking a lead from Robert Gjerdingen’s concept of schemata for the eighteenth-century galant style and from partimento research, I ground my analysis in an imaginary English ‘rule of the octave’ that encourages certain schematic ways of negotiating diatonic space (via the descending tetrachord, 4-3 step, rising 1-2-3) that are then realized in elaborate guises in the repertory. Examples will be examined from the compositions of Parry, Elgar, Vaughan Williams, Quilter, Ireland and Finzi. My overriding aim is to re-conceive the concept of English national music from an ‘internal’ perspective, resting on literacy in compositional idioms and their accumulated meanings, with an eye to long-standing stylistic contracts between musicians and listeners. This approach stands against the default constructivism that regulates most current musicological thought on cultural nationalism in western art music. 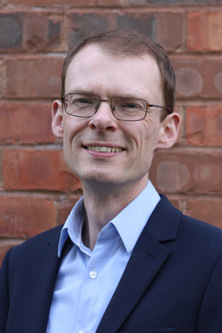 Matthew Riley is Reader in Music at the University of Birmingham. His research interests include music analysis, music and nationalism, the Classical period, and British music from 1887 to World War II. He is co-author with the late Anthony D. Smith of Nation and Classical Music: From Handel to Copland (2016), and his publications include The Viennese Minor-Key Symphony in the Age of Haydn and Mozart (2014) and books on British music and modernism and Edward Elgar.